Bin Valet has a heart for conservation. It is as important as ever to educate our communities. We appreciate the unique opportunity to educate the general public on ways to protect and sustain our environment. As community partners, we work diligently to educate residents on their impact. Bin Valet is excited to implement initiatives aimed at teaching sustainable practices as well as increasing awareness and responsibility. We are on the cutting edge of growth and change within the property maintenance industry. Let us help you retain residents and exceed their expectations. Our cleaning and maintenance professionals are trained and critiqued for constant improvement. A supervisor monitors activity weekly. In addition, individual performance audits are conducted to maintain the highest level of service. Bin Valet team members are provided with name tags to wear on their logoed uniforms, which will be easily recognizable. This helps to ensure the safety of residents and property. 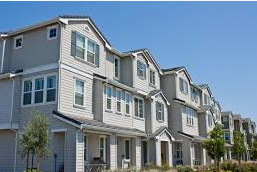 It’s not a secret that multi-family properties require constant maintenance and attention. Properties are made up of all types of renters and owners. Bin Valet’s goal is to assist your property management team in upholding the standard you have guaranteed to your residents. Our turnkey services are second to none! The property management industry has experienced significant growth in metro locations, changing the scope of residents’ expectations. Residents are looking for more value for their dollar, requesting more amenities as the competition increases. Trash concierge is quickly becoming the standard rather than the exception. Whether you need 5, 6- or 7-day waste concierge services, it’s time to experience the value Bin Valet provides! Your property will be cleared of waste to your highest expectations by professionally trained concierge technicians. Bin Valet’s services have your every request covered to keep your property clean and healthy.